You are here: Home » Blogging » Is Your Dog a Good Neighbor? Is your dog the one on the block that neighbors flock to when they see you out walking? Or is he the one that causes people to cross the street in order to avoid you? Dogs have become undeniable members of our families, and by extension, members of our neighborhoods. Which is why it’s important to consider whether or not your dog is a good neighbor. These tips will help make sure that your best friend is also a favorite neighbor on the block. This applies to your dog, of course – not you. But it is essential that you always keep a collar on your dog with ID tags. Although you may go the extra mile to ensure that your dog is properly secured on your property, some sneaky canines are talented escape artists. Make it easy for your neighbors to identify your dog and to get in touch with you should your dog become lost. Don’t rely on microchips alone, which usually require a trip to the vet or shelter in order to be scanned. Even if your dog is the best behaved one on the block, always follow local leash laws. You never know when something will attract their attention or provoke them. It will also help should your dog encounter another dog that is not quite as friendly. Dogs should only run loose in your fenced yard or designated parks. If your dog is shy or does not like to be touched in certain places, make this known to anyone who may approach you. Give instructions to the neighbors you may meet when you’re out walking, and let children know to ask first before petting. This applies to dog owners more than to the dogs themselves. If you’re out walking and your dog takes a break to relieve himself on your neighbor’s lawn, don’t just leave it there. Carry plenty of disposable bags with you so that you can remove the mess and dispose of it properly. Your neighbors will thank you. A continuously barking dog can wear on even the most patient neighbor’s nerves. Be mindful of how much your dog is barking and whether or not it may be disturbing your neighbors. Don’t leave your dog unattended for long periods of time. If any neighbors complain about excessive barking, then work through issues in a friendly way. If you’re concerned your dog’s behavior isn’t up to snuff, then invest in some behavioral training classes. 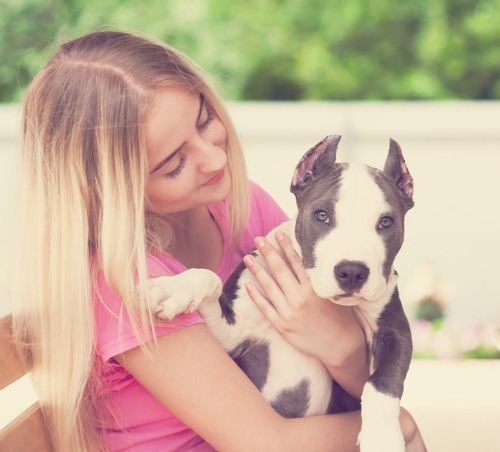 These programs will teach your dog how to get along with other dogs, how to walk through a crowd without becoming too excited, and how to come when called. If you’re lucky, you’ll be able to teach him a couple of fun tricks that will delight your neighbors and make them happy and excited to see you when you’re out for your daily walks. By following these suggestions, you can make your dog not only a good neighbor, but also the star of the neighborhood!